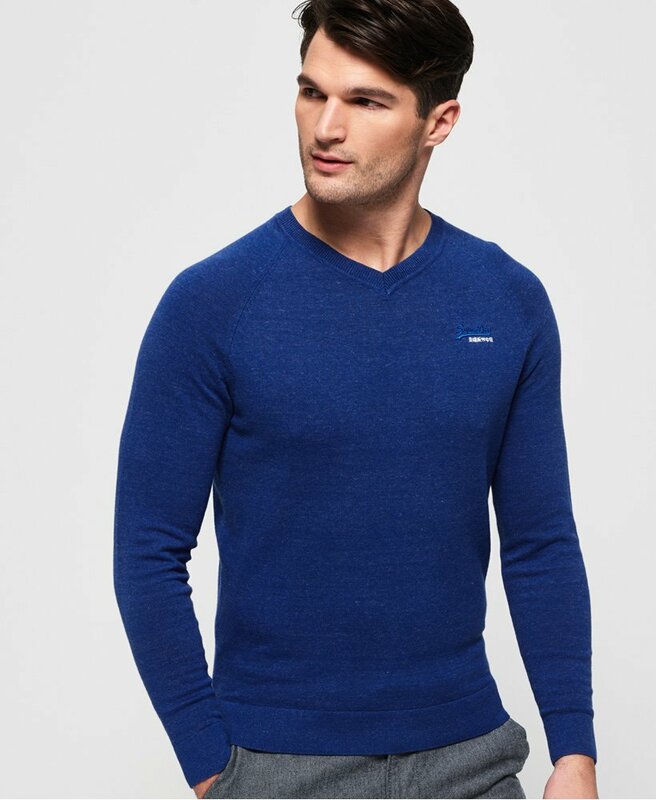 Superdry men’s cotton vee neck jumper from the Orange Label range. This soft vee neck jumper is made from cotton and features a ribbed collar, cuffs and hem. This simple jumper is completed with an embroidered Superdry logo on the chest. The Orange Label cotton vee neck jumper can be worn with anything from jeans to chinos.